Gutters may seem like they only have one job – to protect your home from heavy rains – but they actually have a lot more to offer. Their sleek lines create stunning accents, which can highlight your home’s unique architectural character. They come in a variety of colors and finishes to achieve the visual effect you desire. For best results, we recommend seamless gutters. They are custom-made to fit your home’s specifications, which not only gives the needed capacity to handle heavy runoffs, but also provides a smooth, clean look. Because siding accounts for more than half of your home’s exterior, it’s easy to see how they can give your home an instant facelift. 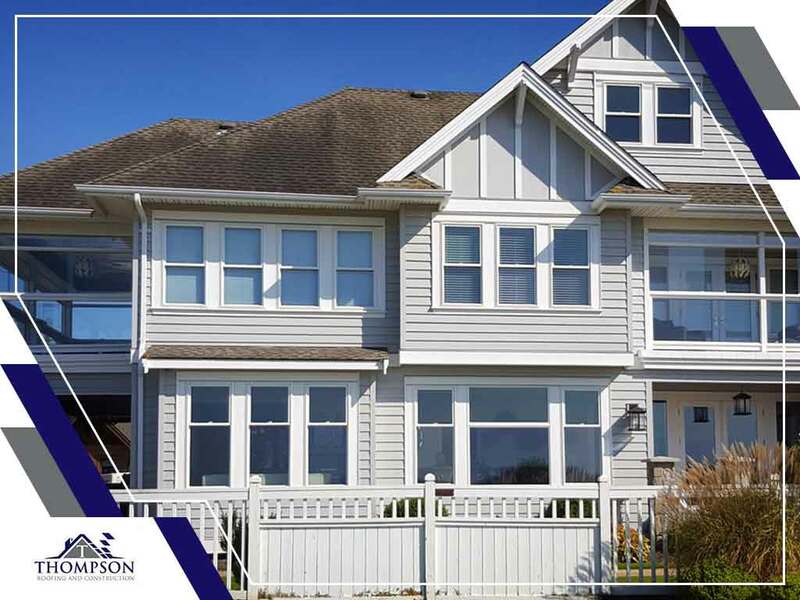 Whether you want to preserve your home’s traditional beauty architectural style or give it a modern touch, the right siding can do it for you. Most siding materials on the market are designed to be versatile and durable. Vinyl and fiber cement siding, for one, can imitate the authentic look of wood minus the demanding maintenance. There’s also a wide selection of colors, profiles and textures available that will suit your personal style. When it comes to your home improvement needs, trust only Thompson Roofing and Construction. With our years of experience, we have what it takes to install top-of-the-line gutters and siding for your needs. Give us a call at (256) 251-5566, or fill out our contact form to learn more about our products or services. We serve Huntsville and surrounding areas.